A few months ago, we announced our AI Principles, a set of commitments we are upholding to guide our work in artificial intelligence (AI) going forward. Along with our AI Principles, we shared a set of recommended practices to help the larger community design and build responsible AI systems. In particular, one of our AI Principles speaks to the importance of recognizing that AI algorithms and datasets are the product of the environment—and, as such, we need to be conscious of any potential unfair outcomes generated by an AI system and the risk it poses across cultures and societies. A recommended practice here for practitioners is to understand the limitations of their algorithm and datasets—but this is a problem that is far from solved. To help practitioners take on the challenge of building fairer and more inclusive AI systems, we developed a short, self-study training module on fairness in machine learning. This new module is part of our Machine Learning Crash Course, which we highly recommend taking first—unless you know machine learning really well, in which case you can jump right into the Fairness module. The Fairness module features a hands-on technical exercise. This exercise demonstrates how you can use tools and techniques that may already exist in your development stack (such as Facets Dive, Seaborn, pandas, scikit-learn and TensorFlow Estimators to name a few) to explore and discover ways to make your machine learning system fairer and more inclusive. We created our exercise in a Colaboratory notebook, which you are more than welcome to use, modify and distribute for your own purposes. From exploring datasets to analyzing model performance, it's really easy to forget to make time for responsible reflection when building an AI system. So rather than having you run every code cell in sequential order without pause, we added what we call FairAware tasks throughout the exercise. FairAware tasks help you zoom in and out of the problem space. That way, you can remind yourself of the big picture: finding the undesirable biases that could disproportionately affect model performance across groups. We hope a process like FairAware will become part of your workflow, helping you find opportunities for inclusion. FairAware task guiding practitioner to compare performances across gender. The Fairness module was created to provide you with enough of an understanding to get started in addressing fairness and inclusion in AI. Keep an eye on this space for future work as this is only the beginning. If you wish to learn more from our other examples, check out the Fairness section of our Responsible AI Practices guide. There, you will find a full set of Google recommendations and resources. From our latest research proposal on reporting model performance with fairness and inclusion considerations, to our recently launched diagnostic tool that lets anyone investigate trained models for fairness, our resource guide highlights many areas of research and development in fairness. Let us know what your thoughts are on our Fairness module. If you have any specific comments on the notebook exercise itself, then feel free to leave a comment on our GitHub repo. This entry was posted in Google Developers Blog and tagged AI Principles, Colaboratory, Ethics, Fairness, Google AI, machine learning, ML, python, Responsible AI, TensorFlow on November 27, 2018 by Google Devs. 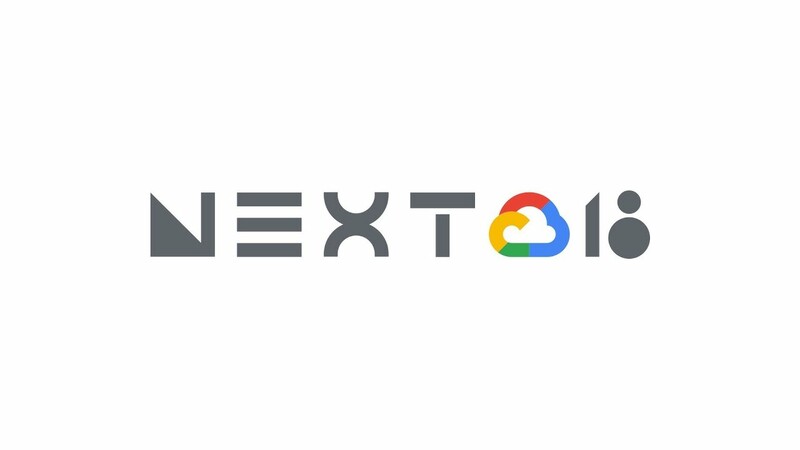 At Cloud Next 2018, we added Python 3.7 support to Cloud Functions and now we’ve announced Python 3.7 support for the App Engine standard environment. These new runtimes allow you to write Python functions and apps using the latest version of Python and the rich ecosystem of packages available on Python Packaging Index (PyPI). This new runtime marks a significant update to App Engine and was enabled by new open source software that we recently released: gVisor and FTL. Running Python 3.7 on App Engine and Cloud Functions required us to fundamentally rethink our infrastructure. Traditionally, meeting Google Cloud’s security requirements meant that we had to run a modified version of the Python interpreter. However, using a modified interpreter constrained some language features and only allowed us to support a limited set of whitelisted Python libraries. Thanks to gVisor, a container sandbox that provides improved security and process isolation, we can now run the unmodified Python 3.7.0 interpreter. We’ve done extensive testing to make sure Python 3.7 is compatible with gVisor. As part of our compatibility testing, we run Python’s full suite of language tests, and tests for Python packages that are popular on PyPI. We’re committed to ensuring that everything you’ve come to know and love about Python is supported on our platform. Most importantly, this change in our infrastructure makes it easier to take advantage of Python’s vast ecosystem. As a developer, you just add project dependencies to a requirements.txt file and deploy. During deployment, FTL, a tool for building containers, fetches dependencies listed in your requirements.txt file and installs them alongside your app or function. FTL also includes a short-lived dependency cache, which speeds up repeated deployments if no changes are detected in your requirements.txt file. This is particularly useful if you find just need to re-deploy because you found a typo. In making these changes, we also decided to expand the list of system packages that are included with each runtime’s Ubuntu 18.04 distribution. We think that will make life just a little bit easier for developers working with the latest release of Python. Looking forward, we’re excited about how these changes will allow us to keep up with the Python community’s progress as they release new versions and libraries. Please let us know what you think and if you run into any challenges. You can learn more about how to get started with it on App Engine and Cloud Functions in our documentation. We can’t wait to see what you build with Python 3.7. This entry was posted in Open Source Blog and tagged app engine, Google App Engine, Google Cloud Platform, Open source, open source release, python, releases on August 13, 2018 by Josh Simmons. While most chatbots respond to user requests in a synchronous way, there are scenarios when bots don't perform actions based on an explicit user request, such as for alerts or notifications. In today's DevByte video, I'm going to show you how to send messages asynchronously to rooms or direct messages (DMs) in Hangouts Chat, the team collaboration and communication tool in G Suite. What comes to mind when you think of a bot in a chat room? Perhaps a user wants the last quarter's European sales numbers, or maybe, they want to look up local weather or the next movie showtime. Assuming there's a bot for whatever the request is, a user will either send a direct message (DM) to that bot or @mention the bot from within a chat room. The bot then fields the request (sent to it by the Hangouts Chat service), performs any necessary magic, and responds back to the user in that "space," the generic nomenclature for a room or DM. From the video, you can see that alerts and notifications are "out-of-band" messages, meaning they can come in at any time. The Hangouts Chat bot framework provides several ways to send asynchronous messages to a room or DM, generically referred to as a "space." The first is the HTTP-based REST API. The other way is using what are known as "incoming webhooks." The REST API is used by bots to send messages into a space. Since a bot will never be a human user, a Google service account is required. Once you create a service account for your Hangouts Chat bot in the developers console, you can download its credentials needed to communicate with the API. Below is a short Python sample snippet that uses the API to send a message asynchronously to a space. The alternative to using the API with services accounts is the concept of incoming webhooks. Webhooks are a quick and easy way to send messages into any room or DM without configuring a full bot, i.e., monitoring apps. Webhooks also allow you to integrate your custom workflows, such as when a new customer is added to the corporate CRM (customer relationship management system), as well as others mentioned above. Below is a Python snippet that uses an incoming webhook to communicate into a space asynchronously. To get started, take a look at the Hangouts Chat developer documentation, especially the specific pages linked to above. 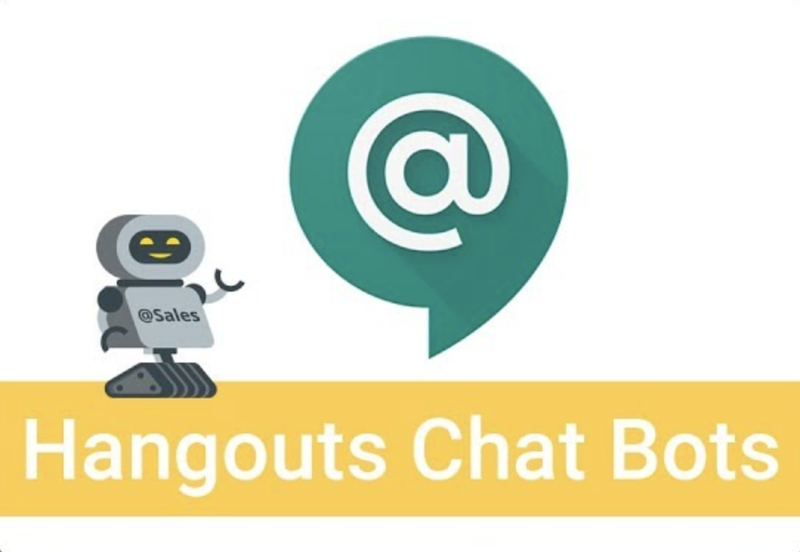 We hope this video helps you take your bot development skills to the next level by showing you how to send messages to the Hangouts Chat service asynchronously. This entry was posted in Google Developers Blog and tagged API, apis, Apps Script, bigquery, cloud, cloud platform, G Suite, Google APIs, Google Cloud Platform, Google Sheets API, Google Slides API, Hangouts Chat, Hangouts Chat API, python on June 28, 2018 by Google Devs. We recently introduced Hangouts Chat to general availability. This next-generation messaging platform gives G Suite users a new place to communicate and to collaborate in teams. It features archive & search, tighter G Suite integration, and the ability to create separate, threaded chat rooms. The key new feature for developers is a bot framework and API. Whether it's to automate common tasks, query for information, or perform other heavy-lifting, bots can really transform the way we work. In addition to plain text replies, Hangouts Chat can also display bot responses with richer user interfaces (UIs) called cards which can render header information, structured data, images, links, buttons, etc. Furthermore, users can interact with these components, potentially updating the displayed information. In this latest episode of the G Suite Dev Show, developers learn how to create a bot that features an updating interactive card. As you can see in the video, the most important thing when bots receive a message is to determine the event type and take the appropriate action. For example, a bot will perform any desired "paperwork" when it is added to or removed from a room or direct message (DM), generically referred to as a "space" in the vernacular. The bot pseudocode as well as the bot featured in the video respond synchronously. Bots performing more time-consuming operations or those issuing out-of-band notifications, can send messages to spaces in an asynchronous way. This includes messages such as job-completed notifications, alerts if a server goes down, and pings to the Sales team when a new lead is added to the CRM (Customer Relationship Management) system. At Google I/O 2018 last week, the Hangouts Chat team leads and I delivered a longer, higher-level overview of the bot framework. This comprehensive tour of the framework includes numerous live demos of sample bots as well as in a variety of languages and platforms. Check out our ~40-minute session below. To help you get started, check out the bot framework launch post. Also take a look at this post for a deeper dive into the Python App Engine version of the vote bot featured in the video. To learn more about developing bots for Hangouts Chat, review the concepts guides as well as the "how to" for creating bots. You can build bots for your organization, your customers, or for the world. We look forward to all the exciting bots you're going to build! This entry was posted in Google Developers Blog and tagged app engine, Apps Script, cloud, cloud functions for firebase, G Suite, Google APIs, Google Apps, google cloud, Google Cloud Platform, Google I/O, Hangouts Chat, python on May 15, 2018 by Google Devs. Tangent is a new, free, and open source Python library for automatic differentiation. In contrast to existing machine learning libraries, Tangent is a source-to-source system, consuming a Python function f and emitting a new Python function that computes the gradient of f. This allows much better user visibility into gradient computations, as well as easy user-level editing and debugging of gradients. 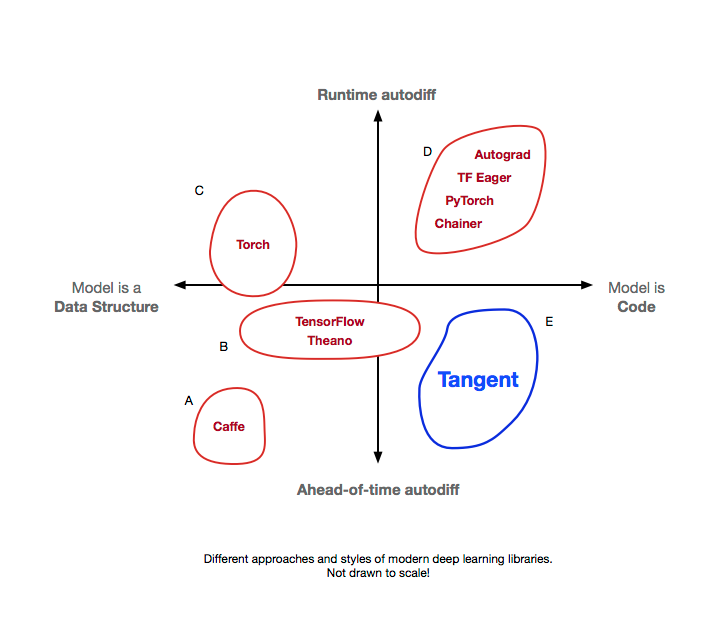 Tangent comes with many more features for debugging and designing machine learning models. This post gives an overview of the Tangent API. It covers how to use Tangent to generate gradient code in Python that is easy to interpret, debug and modify. Neural networks (NNs) have led to great advances in machine learning models for images, video, audio, and text. The fundamental abstraction that lets us train NNs to perform well at these tasks is a 30-year-old idea called reverse-mode automatic differentiation (also known as backpropagation), which comprises two passes through the NN. First, we run a “forward pass” to calculate the output value of each node. Then we run a “backward pass” to calculate a series of derivatives to determine how to update the weights to increase the model’s accuracy. Training NNs, and doing research on novel architectures, requires us to compute these derivatives correctly, efficiently, and easily. We also need to be able to debug these derivatives when our model isn’t training well, or when we’re trying to build something new that we do not yet understand. Automatic differentiation, or just “autodiff,” is a technique to calculate the derivatives of computer programs that denote some mathematical function, and nearly every machine learning library implements it. Existing libraries implement automatic differentiation by tracing a program’s execution (at runtime, like TF Eager, PyTorch and Autograd) or by building a dynamic data-flow graph and then differentiating the graph (ahead-of-time, like TensorFlow). In contrast, Tangent performs ahead-of-time autodiff on the Python source code itself, and produces Python source code as its output. As a result, you can finally read your automatic derivative code just like the rest of your program. Tangent is useful to researchers and students who not only want to write their models in Python, but also read and debug automatically-generated derivative code without sacrificing speed and flexibility. You can easily inspect and debug your models written in Tangent, without special tools or indirection. 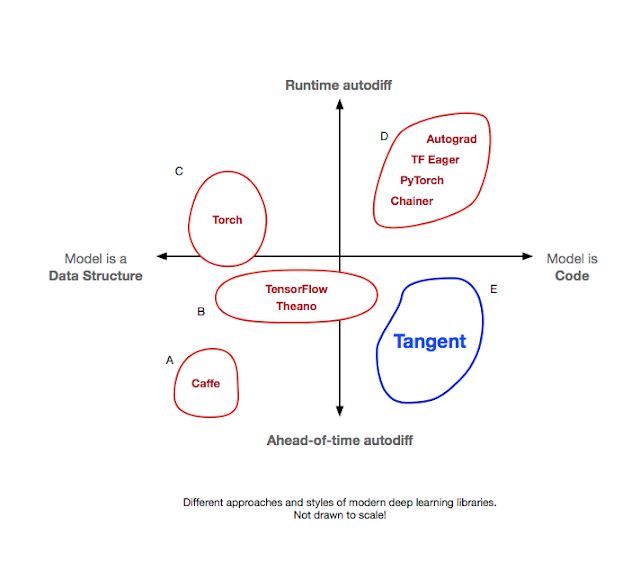 Tangent works on a large and growing subset of Python, provides extra autodiff features other Python ML libraries don’t have, is high-performance, and is compatible with TensorFlow and NumPy. How do we automatically generate derivatives of plain Python code? Math functions like tf.exp or tf.log have derivatives, which we can compose to build the backward pass. Similarly, pieces of syntax, such as subroutines, conditionals, and loops, also have backward-pass versions. Tangent contains recipes for generating derivative code for each piece of Python syntax, along with many NumPy and TensorFlow function calls. Under the hood, tangent.grad first grabs the source code of the Python function you pass it. Tangent has a large library of recipes for the derivatives of Python syntax, as well as TensorFlow Eager functions. The function tangent.grad then walks your code in reverse order, looks up the matching backward-pass recipe, and adds it to the end of the derivative function. This reverse-order processing gives the technique its name: reverse-mode automatic differentiation. Using TensorFlow Eager functions, for processing arrays of numbers. Although we started with TensorFlow Eager support, Tangent isn’t tied to one numeric library or another—we would gladly welcome pull requests adding PyTorch or MXNet derivative recipes. Tangent is open source now at github.com/google/tangent. Go check it out for download and installation instructions. Tangent is still an experiment, so expect some bugs. If you report them to us on GitHub, we will do our best to fix them quickly. We are working to add support in Tangent for more aspects of the Python language (e.g., closures, inline function definitions, classes, more NumPy and TensorFlow functions). We also hope to add more advanced automatic differentiation and compiler functionality in the future, such as automatic trade-off between memory and compute (Griewank and Walther 2000; Gruslys et al., 2016), more aggressive optimizations, and lambda lifting. We intend to develop Tangent together as a community. We welcome pull requests with fixes and features. Happy deriving! Bart van Merriënboer contributed immensely to all aspects of Tangent during his internship, and Dan Moldovan led TF Eager integration, infrastructure and benchmarking. Also, thanks to the Google Brain team for their support of this post and special thanks to Sanders Kleinfeld and Aleks Haecky for their valuable contribution for the technical aspects of the post. This entry was posted in Open Source Blog and tagged deep learning, Google Brain, Open source, open source release, python, releases, Research on November 8, 2017 by Open Source Programs Office. Today we are pleased to announce the open-sourcing of Python Fire. Python Fire generates command line interfaces (CLIs) from any Python code. Simply call the Fire function in any Python program to automatically turn that program into a CLI. The library is available from pypi via `pip install fire`, and the source is available on GitHub. Python Fire will automatically turn your code into a CLI without you needing to do any additional work. You don't have to define arguments, set up help information, or write a main function that defines how your code is run. Instead, you simply call the `Fire` function from your main module, and Python Fire takes care of the rest. It uses inspection to turn whatever Python object you give it -- whether it's a class, an object, a dictionary, a function, or even a whole module -- into a command line interface, complete with tab completion and documentation, and the CLI will stay up-to-date even as the code changes. To illustrate this, let's look at a simple example. """Says hello to the specified name.""" When the Fire function is run, our command will be executed. Just by calling Fire, we can now use the Example class as if it were a command line utility. Of course, you can continue to use this module like an ordinary Python library, enabling you to use the exact same code both from Bash and Python. If you're writing a Python library, then you no longer need to update your main method or client when experimenting with it; instead you can simply run the piece of your library that you're experimenting with from the command line. Even as the library changes, the command line tool stays up to date. At Google, engineers use Python Fire to generate command line tools from Python libraries. We have an image manipulation tool built by using Fire with the Python Imaging Library, PIL. In Google Brain, we use an experiment management tool built with Fire, allowing us to manage experiments equally well from Python or from Bash. Every Fire CLI comes with an interactive mode. Run the CLI with the `--interactive` flag to launch an IPython REPL with the result of your command, as well as other useful variables already defined and ready to use. Be sure to check out Python Fire's documentation for more on this and the other useful features Fire provides. Between Python Fire's simplicity, generality, and power, we hope you find it a useful library for your own projects. This entry was posted in Google Developers Blog and tagged Open source, python on March 3, 2017 by Google Devs. This entry was posted in Open Source Blog and tagged Open source, open source release, python, releases on March 2, 2017 by Open Source Programs Office. Google runs millions of lines of Python code. The front-end server that drives youtube.com and YouTube’s APIs is primarily written in Python, and it serves millions of requests per second! YouTube’s front-end runs on CPython 2.7, so we’ve put a ton of work into improving the runtime and adapting our application to work optimally within it. These efforts have borne a lot of fruit over the years, but we always run up against the same issue: it's very difficult to make concurrent workloads perform well on CPython. To solve this problem, we investigated a number of other Python runtimes. Each had trade-offs and none solved the concurrency problem without introducing other issues. So we asked ourselves a crazy question: What if we were to implement an alternative runtime optimized for real-time serving? Once we started going down the rabbit hole, Go seemed like an obvious choice of platform since its operational characteristics align well with our use case (e.g. lightweight threads). We wanted first class language interoperability and Go’s powerful runtime type reflection system made this straightforward. Python in Go felt very natural, and so Grumpy was born. Grumpy is an experimental Python runtime for Go. It translates Python code into Go programs, and those transpiled programs run seamlessly within the Go runtime. We needed to support a large existing Python codebase, so it was important to have a high degree of compatibility with CPython (quirks and all). The goal is for Grumpy to be a drop-in replacement runtime for any pure-Python project. We’re excited about the prospects for Grumpy. Although it’s still alpha software, most of the language constructs and many core built-in types work like you’d expect. There are still holes to fill — many built-in types are missing methods and attributes, built-in functions are absent and the standard library is virtually empty. If you find things that you wish were working, file an issue so we know what to prioritize. Or better yet, submit a pull request. This entry was posted in Open Source Blog and tagged Go, Open source, open source release, python, releases on January 4, 2017 by Open Source Programs Office.